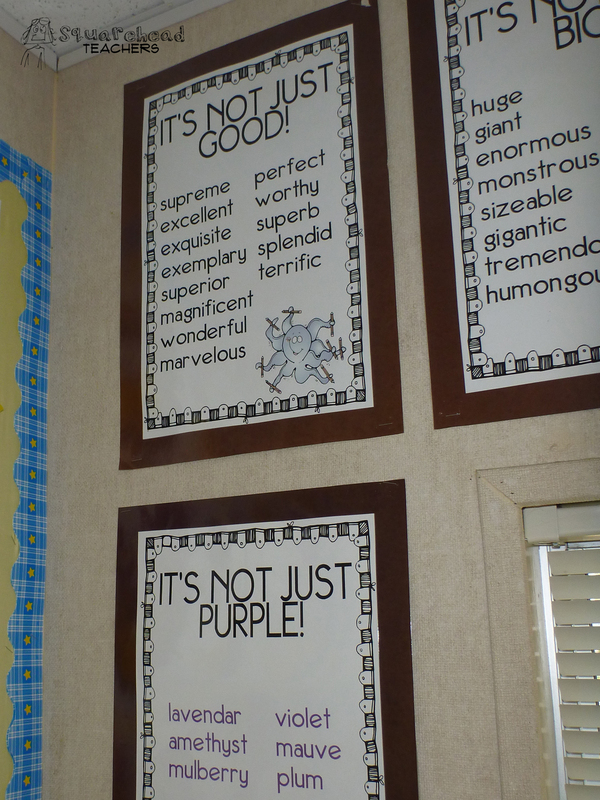 Teaching kids to use “good words” in their writing is hard. 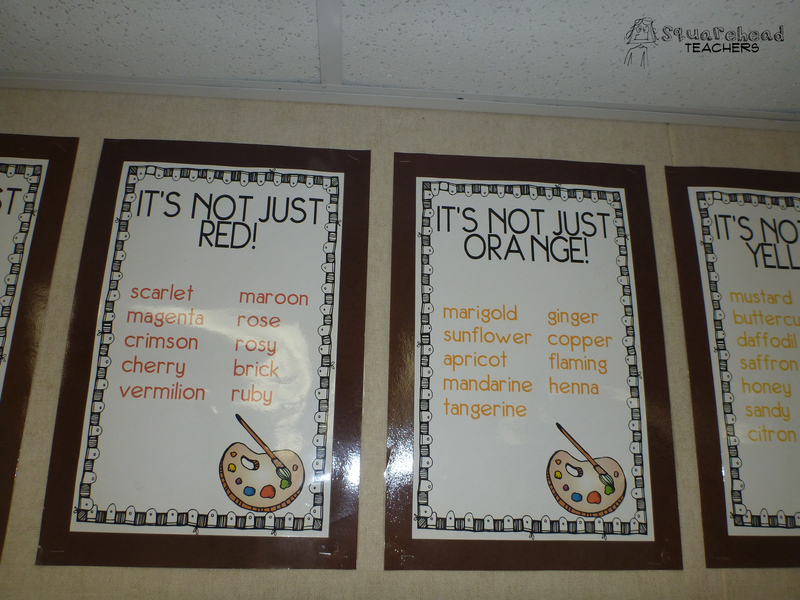 It’s not always easy to find a good synonym for “red” but this activity should help broaden their diction horizons. Divide your class into 10 groups. 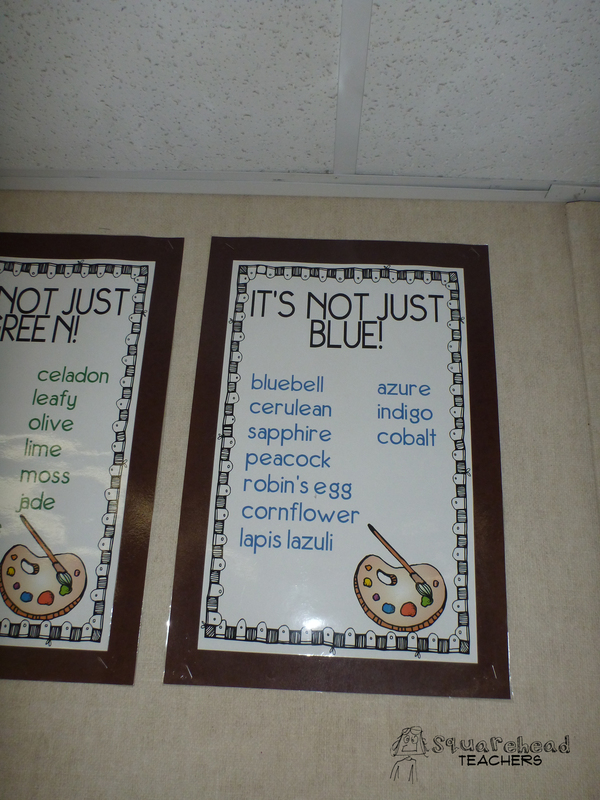 Pass out one color synonym sheet and a thesaurus to each group. 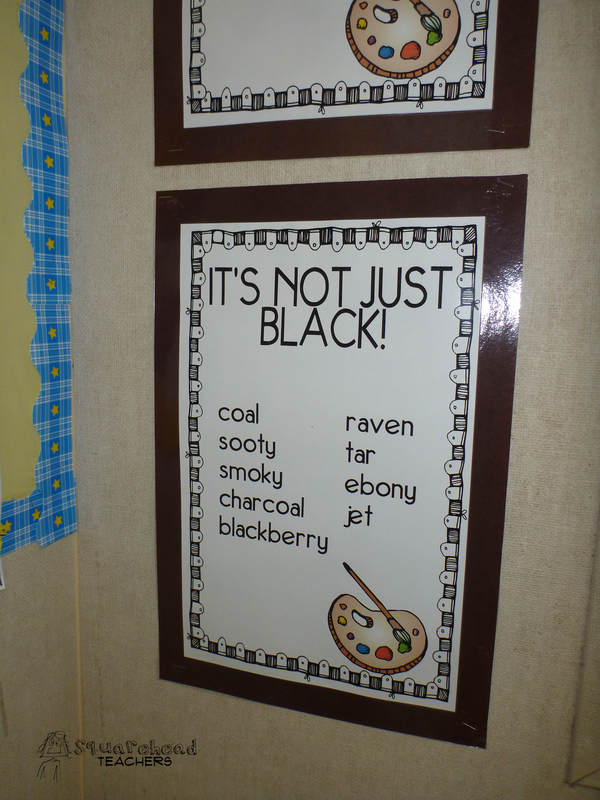 Instruct each group to find as many synonyms for their color as possible. 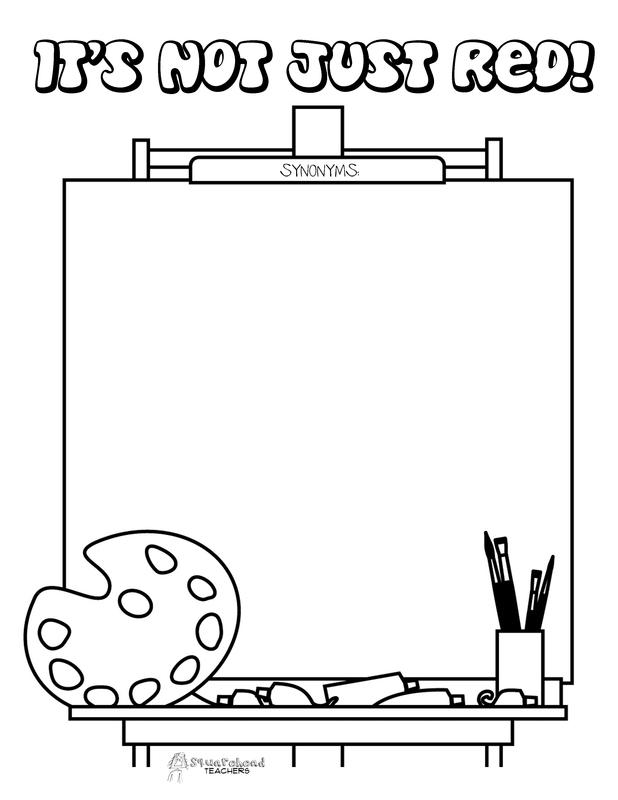 Then have them draw a border around their sheet using the color they searched. 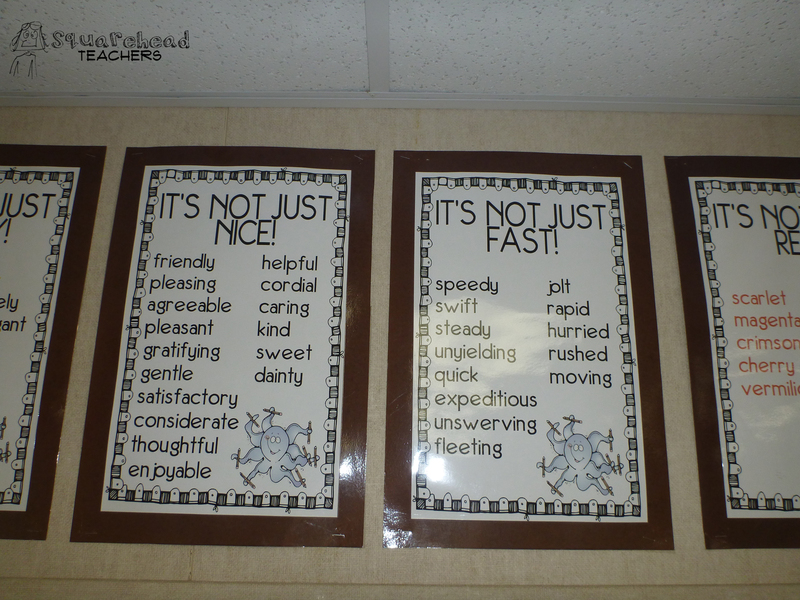 Post these somewhere in the room for a few days so students can browse the synonyms. 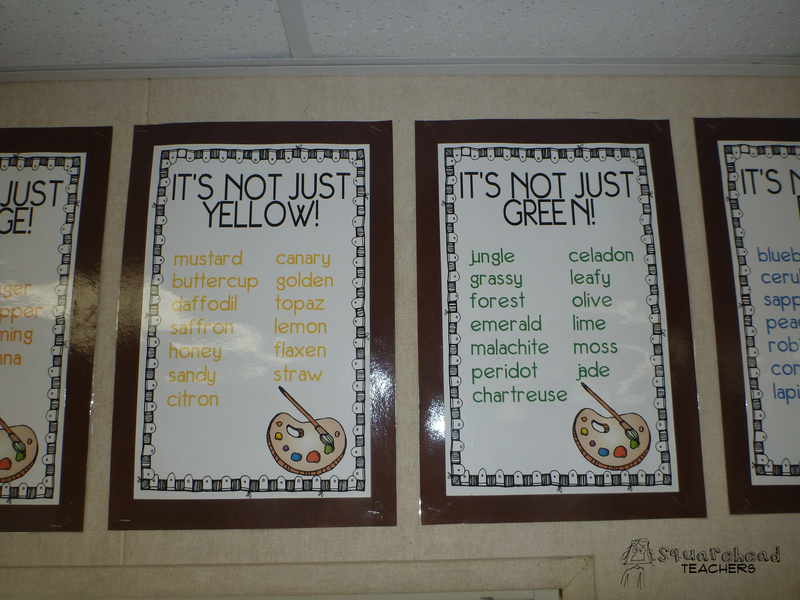 This entry was posted in Writing and tagged Children, colors, Education, Elementary School, group work, Homeschool, Kids, synonyms, Teacher Resources, Teachers, Teaching, Writing by Squarehead Teachers. Bookmark the permalink. I love this. Better yet, I adore this post. 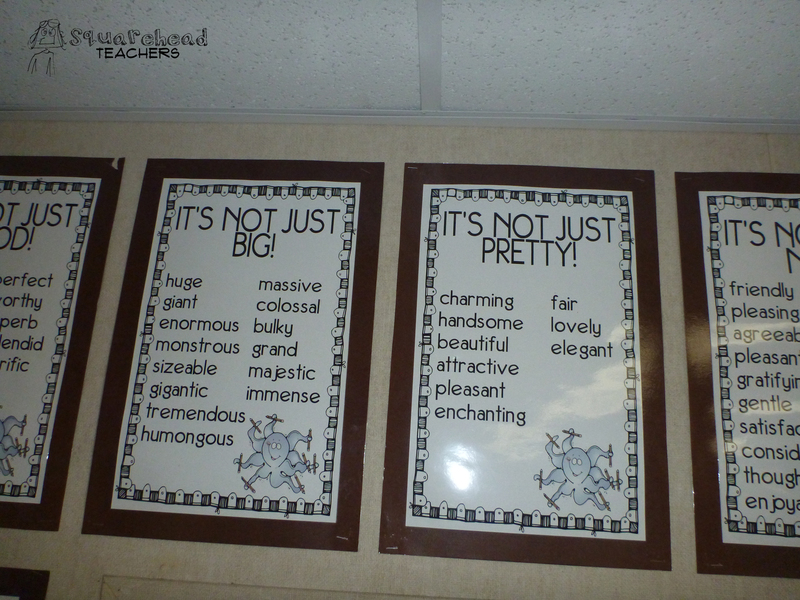 Still better,I relish the thought of students writing more descriptively. So true! Using million dollar words totally makes the world a better place!